Benign prostatic hyperplasia is a non-cancerous enlargement of the prostate. This enlargement obstructs the flow of urine and causes symptoms including intermittent and weak urine streams, straining to urinate, incomplete bladder emptying, sudden uncontrollable urges to urinate and increased urinary frequency. By age 60, most men have some degree of BPH, according to the University of Maryland Medical Center. Certain dietary changes may help. 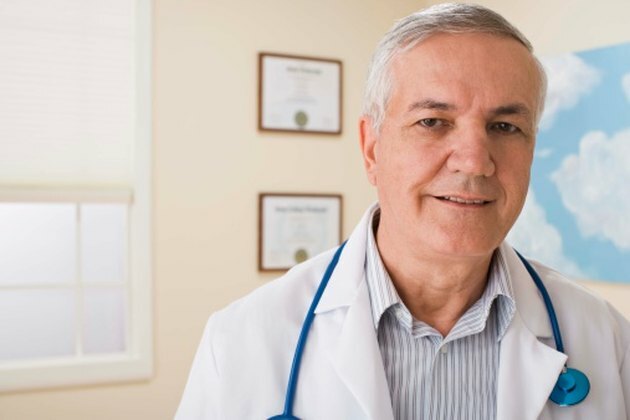 Benign prostatic hyperplasia may be caused by hormonal changes as men age, according to the University of Maryland Medical Center. Dietary changes recommended by the Urology Channel are intended to help with these hormonal issues. Recommendations include avoiding all food products made with refined sugar and refined flour, such as white bread and commercial dessert products. Men with an enlarged prostate also should avoid eating hydrogenated oils, fried food, processed food and junk food. Another method of resolving hormonal issues is avoiding food that results in sensitivity symptoms, as explained by the Urology Channel. Men can use an elimination diet to identify these sensitivities. This technique involves eliminating all the most common food sensitivity and allergy culprits and monitoring any improvement of symptoms. Once a certain level of improvement occurs, the individual may begin adding the foods back in one by one. The most common food allergies in adults are corn, eggs, peanuts, tree nuts and shellfish. Additionally, many people are sensitive to wheat gluten. A study published in the January 2006 issue of "Urology" found significantly increased occurrence of BPH symptoms with more frequent consumption of certain foods. These foods included cereals and breads, but not pasta. Eating eggs and poultry also appeared to increase symptoms. Although the Urology Channel recommends avoiding dairy products, this study did not find any association between BPH and milk, cheese or yogurt intake. The Mayo Clinic recommends that men with an enlarged prostate avoid drinking large amounts of liquid at one time and also to avoid drinking any beverages for one or two hours before bedtime. Additionally, avoiding caffeine and alcohol can decrease symptoms, because these substances increase urine production and irritate the bladder. Are There Foods to Avoid With Ovarian Cysts?